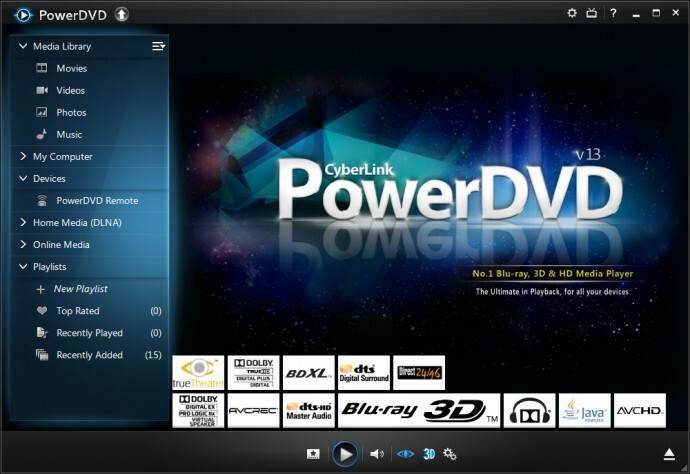 Today CyberLink has introduced their new version 13 of the PowerDVD media player, bringing some new and interesting features and improvements, some of which related to 3D, though not that much is actually targeted especially at stereoscopic 3D support. If you are going to be using the player for Blu-ray 3D movie and would use the player mostly for 3D video playback you’d need the Ultra version as the other two versions of the player – Pro and Deluxe do not come with stereo 3D video support at all. Among the more interesting features in the new PowerDVD 13 are things like official support for the new AVCHD 2.0 standard (including 3D video support), playback of lossless APE audio (OGG and FLAC are already supported), 4K video support (for bitrates up to 60 Mbps) and a new subtitle rendering engine allowing you to better customzie how the subtitles appear. CyberLink also promises faster startup time for Blu-ray movies, better speed and responsiveness of the playback for various types of media. With the new PowerDVD 13 there is more attention for not only HD and 3D video playback, but for HD audio as well, so if you have a more serious sound system you can enjoy not only high-quality audio from movies, but also play looseless stereo audio and multichannel HD audio as well. It is interesting to note that the new PowerDVD 13 also supports TrueTheater HD for Blu-ray movies and Full HD videos (upscaling resolution) as compared to the previous version 12. There isn’t much changed on the types of stereoscopic 3D display devices and output modes from the previous version, though they were already quite comprehensive with support for only 3D-capable DLP Link projectors using DLP Link glasses being the only thing that is still missing, though frame sequential mode is supported on a devices using 3D Vision with compatible hardware. 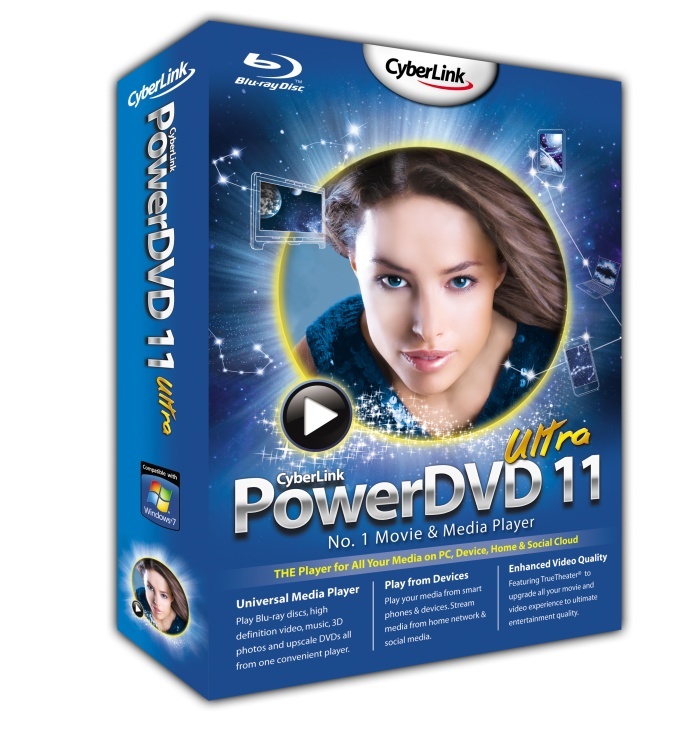 PowerDVD 13 Ultra is available with a price of US $99.95 or €99.99 Euro and if you have an older 11/12 Ultra version you can upgrade for half the price of the license. One of the cool new 3D-related features that was introduced in the new PowerDVD 11 player and surprisingly not even mentioned is the support for a stereoscopic 3D menu and navigation for playback of DVD and Blu-ray movies in the extra Cinema Mode. This special Cinema Mode is intended for use with a remote control when you are playing back 3D movies on your 3D HDTV in order to ensure more convenient playback. You can of course also use it on a PC with a 3D monitor and without a remote control, but then you will probably be Ok with the traditional menu of the PowerDVD player. To switch from the traditional interface to the Cinema Mode you need to click on the small TV-like icon situated in the upper right corner of the player. Then you need to activate the Stereo View or just hit CTRL + T or press the button on the IR emitter if you are using 3D Vision system for example. In the Settings section of the Cinema View mode you can change the type of 3D display you have, the type of the 3D source video as well as if yo wan to use 2D or 3D playback. However these should normally be auto-detected and you should not need to change them. 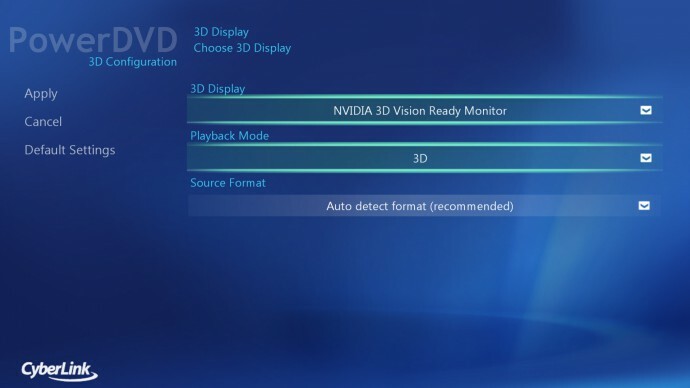 Aside from support for 3D Vision, you can use this 3D mode with HDMI 1.4 HDTVs, 3D DLP TVs using DLP Checkerboard pattern, passive polarized 3D displays as well as the most common anaglyph with red-cyan glasses. As I’ve already mentioned in this mode you can only play movies from discs, you cannot playback 3D video files for example. Unfortunately I could not take screenshot of the actual menu in 3D that you get overlayed when playing back a movie as no software was able to do a capture of the displayed image in either 2D or 3D format. 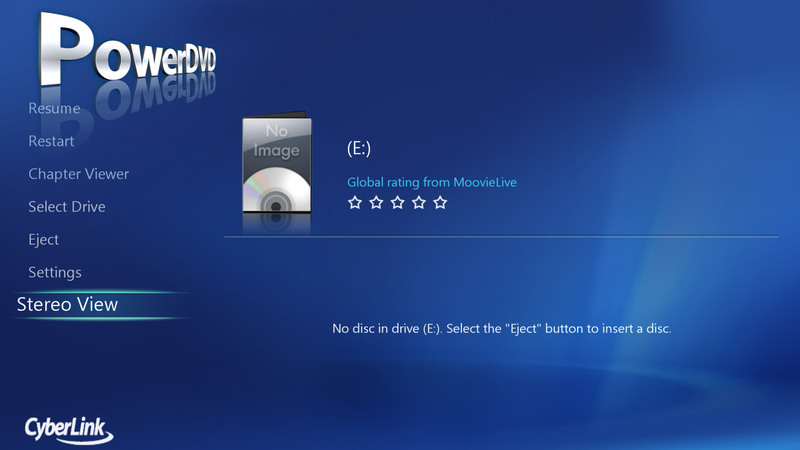 So if you get the new PowerDVD 11 you should try this function, especially if you are building an HTPC system that you want to be able to play back Blu-ray 3D movies very easily in a similar fashion to a standalone Blu-ray 3D video player – easier control and navigation with an additional remote, especially if you have autorun active for Blu-ray movies and the Cinema Mode activated by default. Don’t forget that if you want all the features including the Blu-ray 3D movie playback support you will need to get the PowerDVD 11 Ultra version.